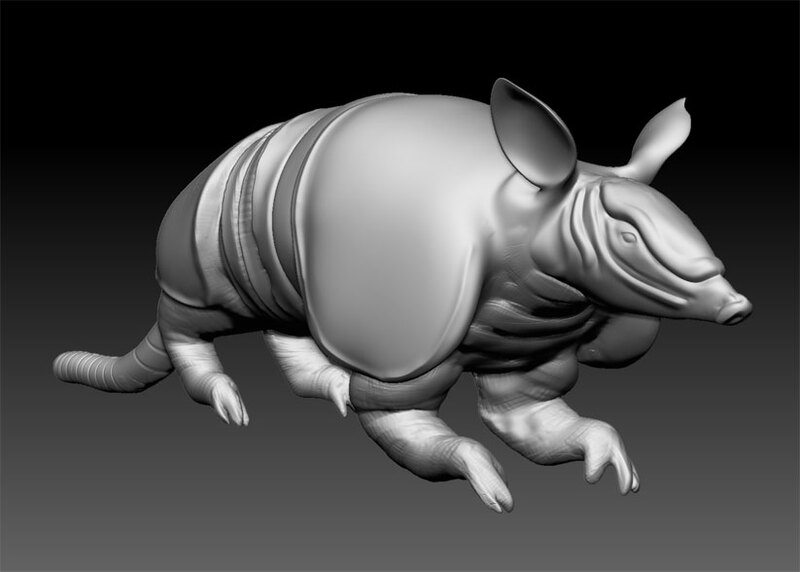 This is from a speed sculpting exercise I did at school that I started with a few of my friends. The idea was to do 2 hour sessions of a subject, generally animals, and have a 10 minute critique in between each hour. 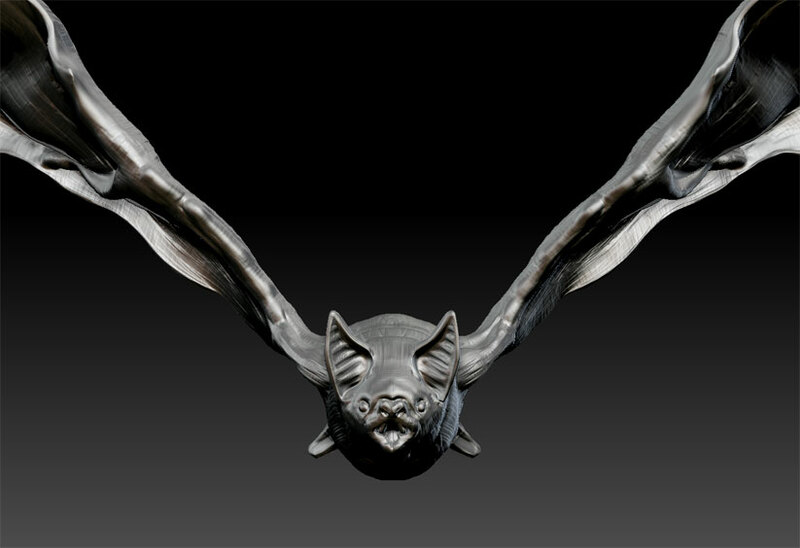 This was of a Vampire Bat, which has quite a unique body and bone structure, the wings were especially challenging. 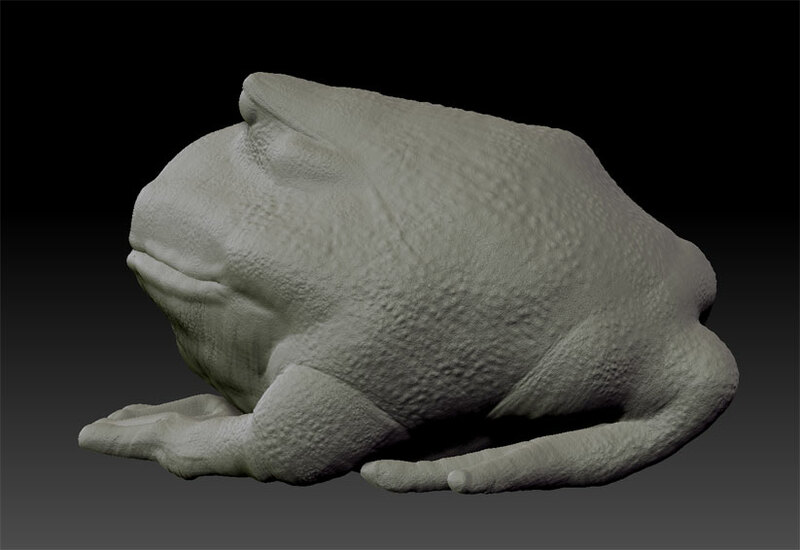 This was Week One of our speed sculpting exercises. 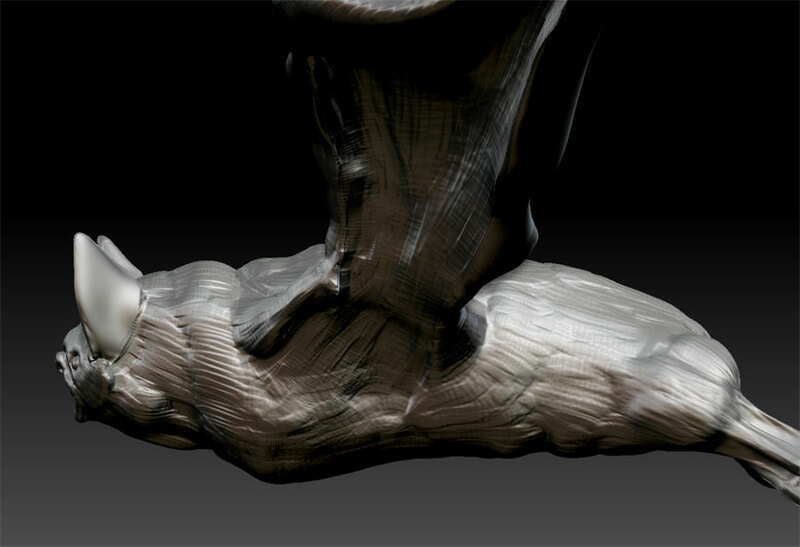 This was Week Three of our speed sculpting sessions, we now had 7 artists doing the exercise at once, so the critiques have become more and more insightful and you can start to see the progression in forms emerging quicker from the exercises. 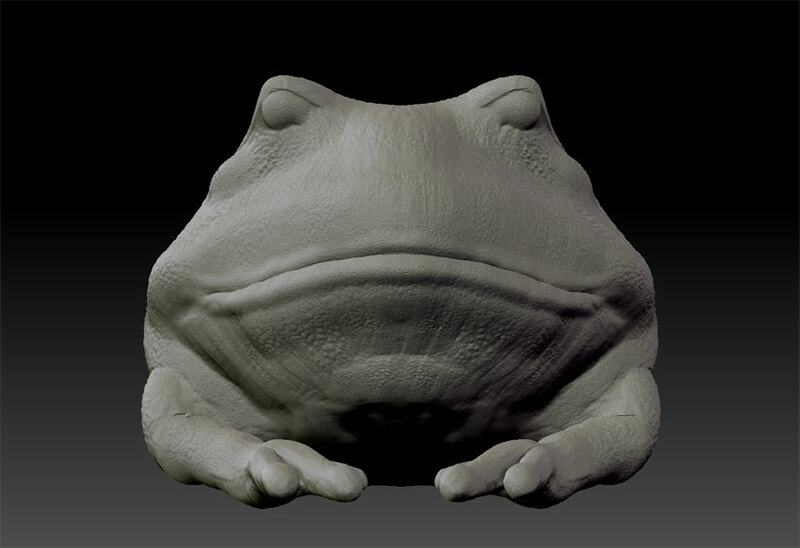 We chose the frog because of it's harder secondary forms and the overhanging features. The tertiary detail with the protruding bumps was also included. 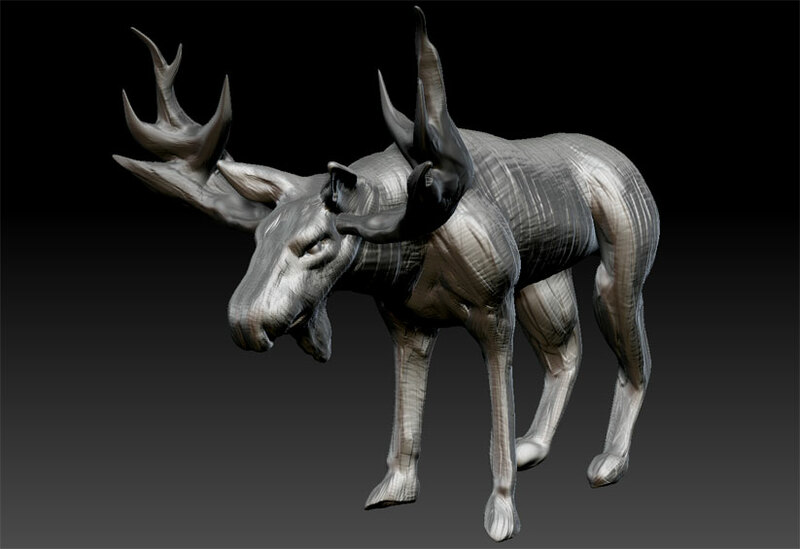 This was Week Four of our speed sculpting sessions, we had 6 artists involved in this one. 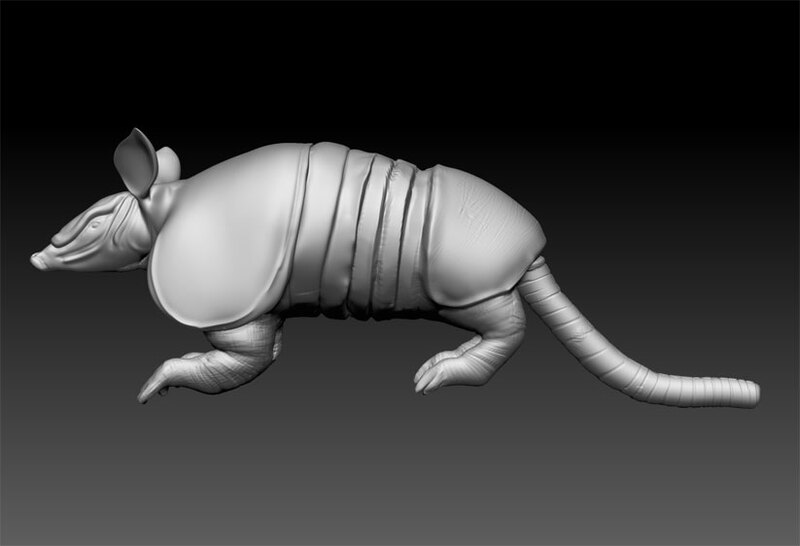 We chose the Armadillo because of the overlapping forms and the good chance to use the masking and move brushes to their full effectiveness. The shell and the overhanging armor/body fat pieces were especially difficult since the distinct hard edge was proving challenging to make. 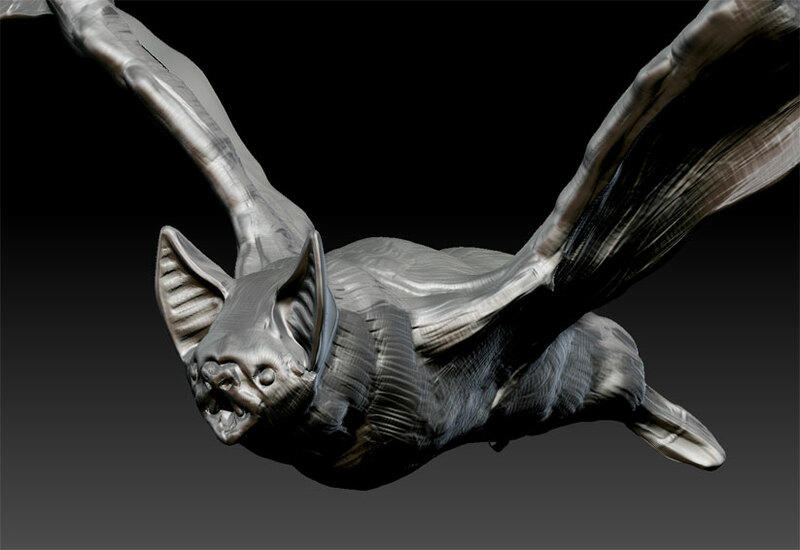 I ended up running a giant clay tubes mixed with a dam_standard pass in order to get most of the projected detail I have on my sculpt. 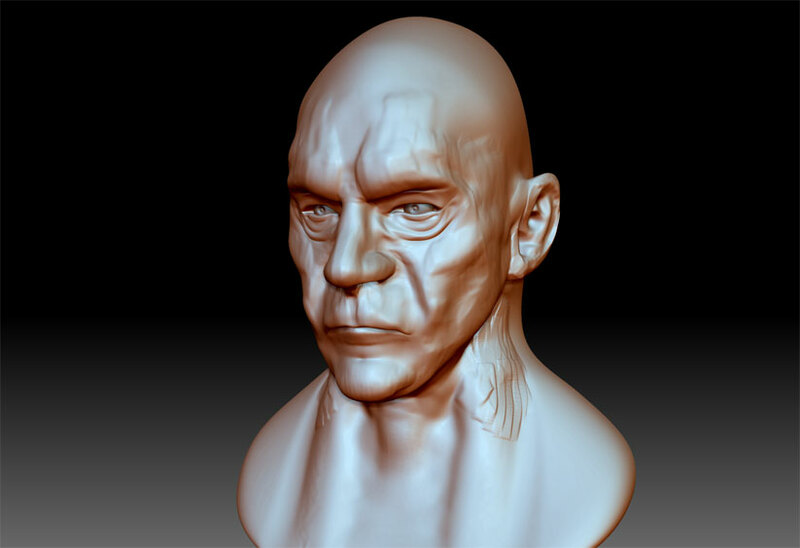 This was Week Two of our speed sculpting sessions, and we had 6 artists participating. 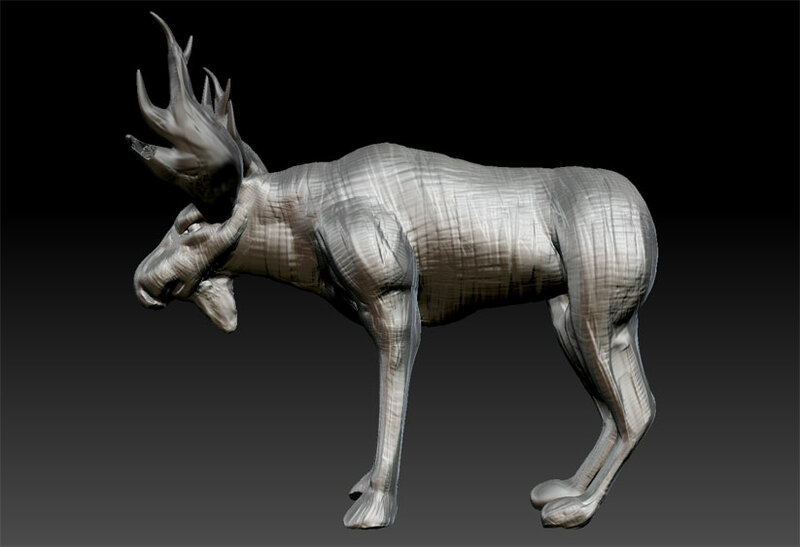 We chose Alaska's Bull Moose because of the usage of subtools, the distinct secondary and primary forms in the head, and the peculiar body size of it. We started in Zspheres and worked out the primary form from there. I used Clay Tubes and the inflat brush to great effect around the face, along with some Dam_Standard around the eyes and mouth. 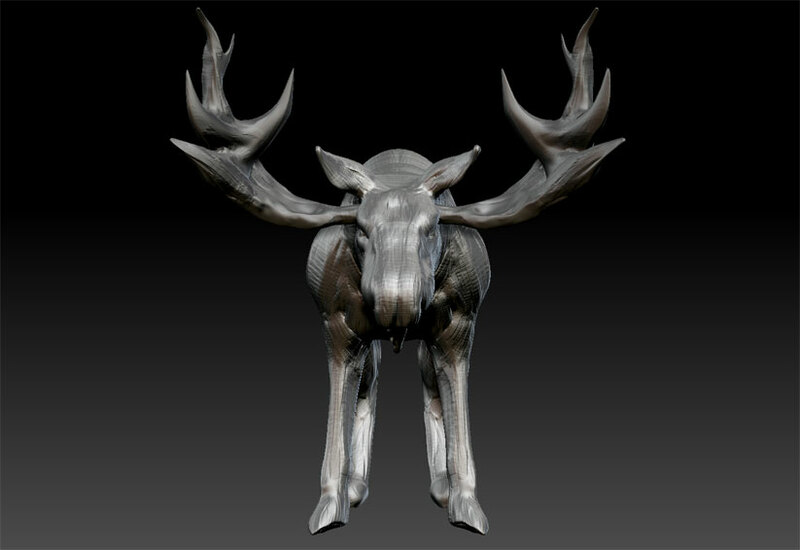 The rest was using the Move brushes to get the shapes where they needed to be, mainly in the antlers so the retained some points, but remained that replicated smoothness of an antler. 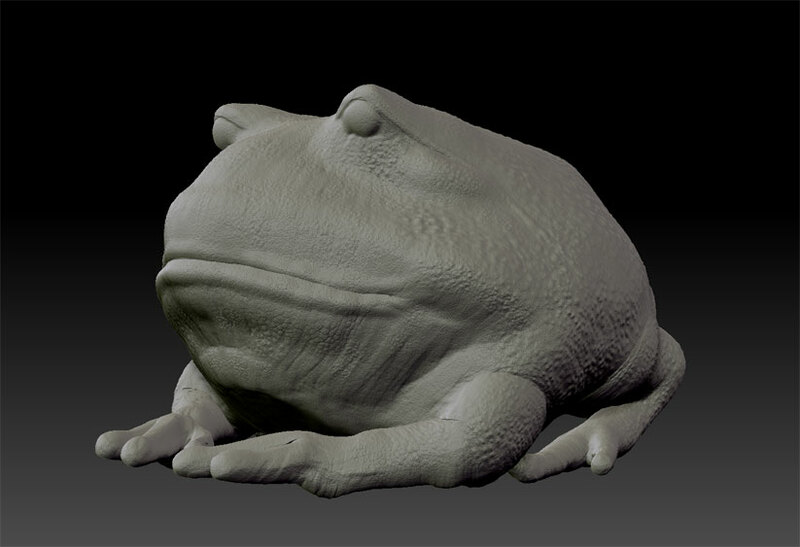 This was Week Five of our speed sculpting sessions, and we had 3 artists involved on this project. This time we came to actual human forms, and who better to start off with than Mr. Patrick Stewart himself (Played Professor X in the X-Men Movies). We chose him because he's the ideal middle to late aged man that we were looking for. 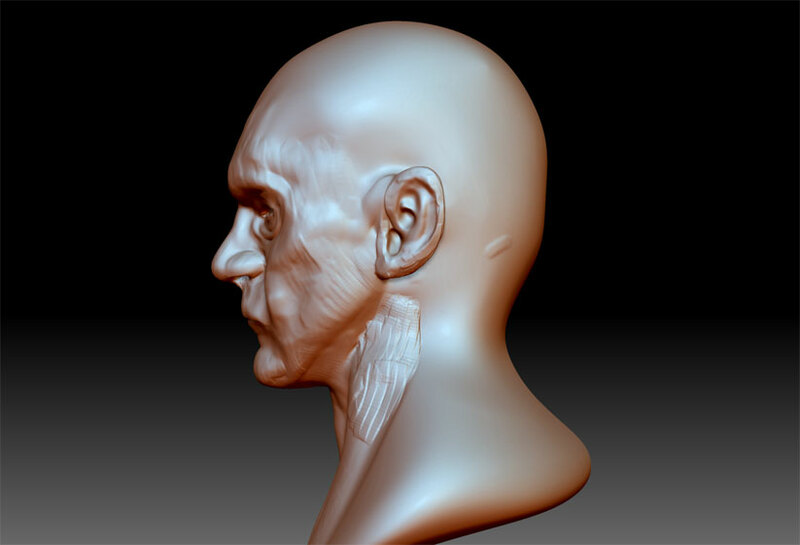 He was bald so there was great reference photos of him, and his facial structure had lots of valleys and plateaus in it. I used clay tubes almost exclusively for this project along with the Move Elastic brush for tweeking the positions of the eyes and jawline as well and the nose. 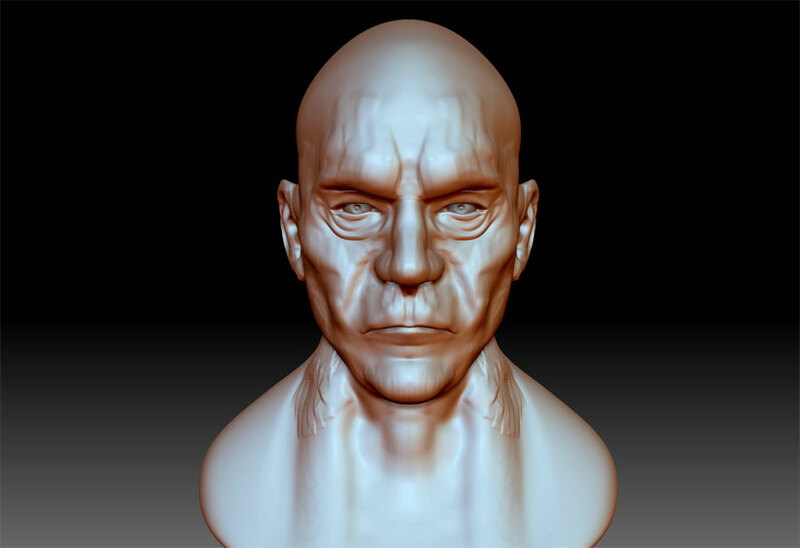 I ran Dam_Standard passes for each of the lids and subsequent valley wrinkles in the face. 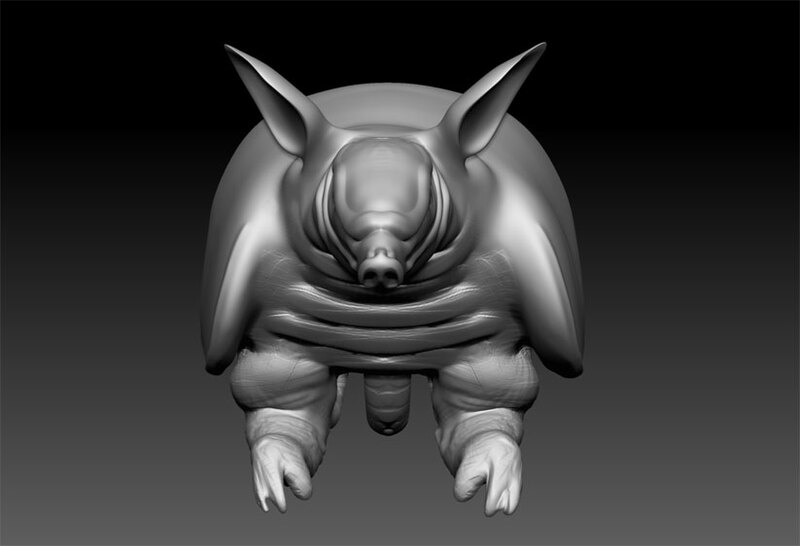 All and all, I think this was probably my best speed sculpt yet, you know what they say, practice makes perfect!